Today was the second day of Federal Reserve Chair Ben Bernanke's Monetary Policy Report Report to the House Financial Services Committee. I was only able to tune in for a short time, but I was able to also read some of the testimony online. The report itself seemed to be a re-statement of the obvious. That the economy continued to retract in the first quarter of 2009, that there were some signs that the RATE OF DECLINE was slowing. Commercial real estate is typically a lagging indicator, this means that the values of commercial real estate rise or fall months and sometimes years AFTER the adjustments in other sectors of the economy. In this case we have seen a 7.6% single month decrease in commercial property values across the board. There are also over $108 BILLION in commercial real estate loans in default. This could mean a whole NEW WAGE of financial institution collapses and a second drag on an economy that already has several weights tied around it's neck as it attempts to tread water. These anchors include the subprime meltdown, the subsequent cost of the bailout, the automobile industry collapse and the "stimulous plan" which has accomplished it true intented task of using a recession as an excuse to expand government, force small business owners (such as auto dealers) out of business, and give away pork money to the districts and organizations that have helped liberal-neosocialist cause. 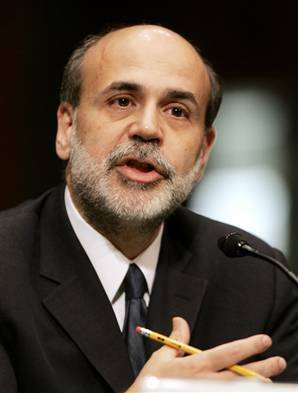 Putting that little diatribe away there were additional questions of Bernanke that piqued my intererst. - One of the topics of conversation was the mixed messages banks were getting about lending money, and the fact that while the federal government has been saying publically that banks need to start lending money, the regulators are at the same time criticizing lenders for making too many loans. Benanke acknowledged that this problem exists, and said the key was in retraining regulators to encourage lenders to make profitable loans to credit worthy customers. - An item that should be of noteworthy concern is the continued witch hunt of the mortgage broker. Most mortgage brokerage firms are small businesses and do not have a strong lobby to protect their interests. As a result they have been an easy target on capital hill and a scapegoat for the subprime meltdown. Rep. Chris Dodd (D) grilled Bernanke on the subject of YIELD SERVICE PREMIUMS, (YSP's) YSPs are the fees paid by mortgage lenders to brokerage firms for funding loan applications. These YSP's typically increase as the agreed upon interest rate increases, as a higher rate means more profit for the end lender. Many in congress in both political parties are seeking to end the practice of paying YSPs to brokers, or severely limit/cap the amount that may be paid on any given loan. While some broker's may have abused this practice, this tool was used by many to generate enough income to offset and sometimes eliminate closing costs for the comsumer. What the average Realtor(R) and consumer should also know is that MORTGAGE BANKERS (which are typiclly larger companies than brokers) will not be affected by these proposed changes as they FUND their loans FIRST and then sell them to other lenders collecting a SERVICE RELEASE PREMIUM that is not disclosed to the consumer and not subject to the limits. This means that while the small business owners are being punished, big business gets to eliminate competition. All in the name of consumerism. Let's face it, while there were some bad players (as there are in any industry INCLUDING ELECTED OFFICE) in the mortgage brokerage industry. Most brokers played by the rules, sought to help consumers, and offered products made available by the lenders. MORTGAGE BROKERS DID NOT SET INTEREST RATES - there merely sold what was available. There are times and cases where a mortgage broker may have made a larger profit on one consumer than another, perhaps that particular customer required a substantial amount of time and work in order to find the correct product and obtain a loan approval. At the end of the day, almost a year from the initial MORTGAGE MELTDOWN, lawmakers and journalists alike still don't understand the problem any more than they did a year ago. They want to blame the little guy, because that provides a villian with the least of political consequences. 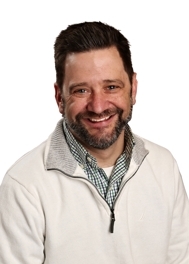 Ralph specializes in Foreclosure, REO, Distressed and Short Sale residential sales, and in commercial real estate in Kenosha, and Racine counties. Weichert, Realtors - Precision is a full service real estate firm with an entire staff of residential real estate agents.